President and CEO Downtown Dallas Inc. In March 2016, Kourtny Garrett became the head honcho at Downtown Dallas Inc., a nonprofit that acts as a steward for the 15 districts that make up downtown and manages the Downtown Improvement District. 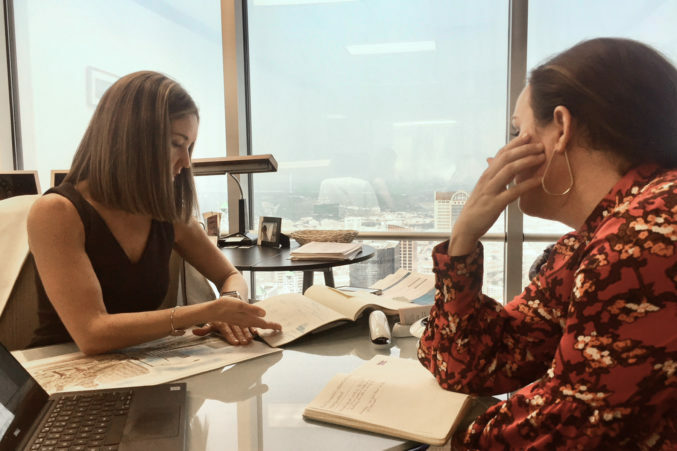 During a key time in Dallas’ urban development, Garrett spends her days tackling issues of importance to the city and facilitating partnerships. “In today’s environment, leadership is so much more collaborative, which is really important,” she says. Does yoga, which she has been practicing for more than 10 years. She says the “combination of body and mind” helps her stay grounded. Gets her 6-year-old twins, Ella and Wells, up and ready for school. Convenes with HKS Inc.’s Kirk Teske, chief operating officer, and Marsha Getto-Aikens, vice president of business development, about bicycle infrastructure funding. Switches out her heels for a pair of flats before heading to her next meeting. Garrett often opts to walk instead of drive. “That’s what has always made me passionate about cities—the richness, the culture, the accessibility that you have when you’re simply on foot or bike,” she says. Attends a mobility council meeting at D Magazine’s office with representatives from the Deep Ellum Foundation, Dallas Farmers Market Stakeholders Association, and Parks for Downtown Dallas. 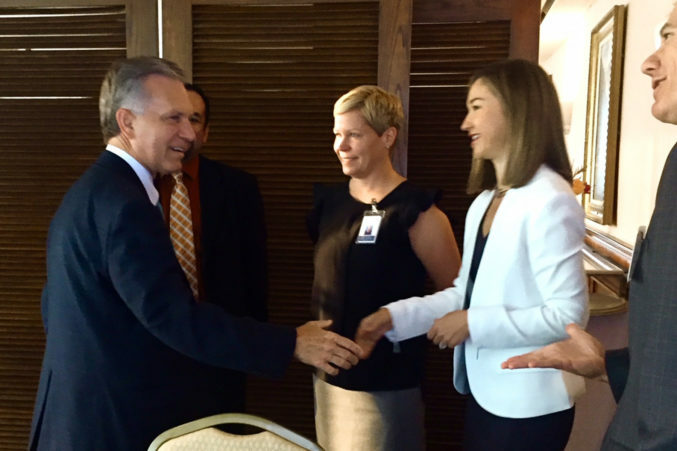 Garrett meets with DDI’s Chief Operating Officer Amy Tharp. Capping several hours of internal staff meetings, Garrett discusses upcoming initiatives with COO Amy Tharp. Arrives home and spends time with her family. Garrett says she makes sure to carve out several hours that are free of work distractions. Turns in for the evening.